2 August 2018, after dark, the witness watched and photographed three mysterious fire, perfectly aligned horizontally. What is it? 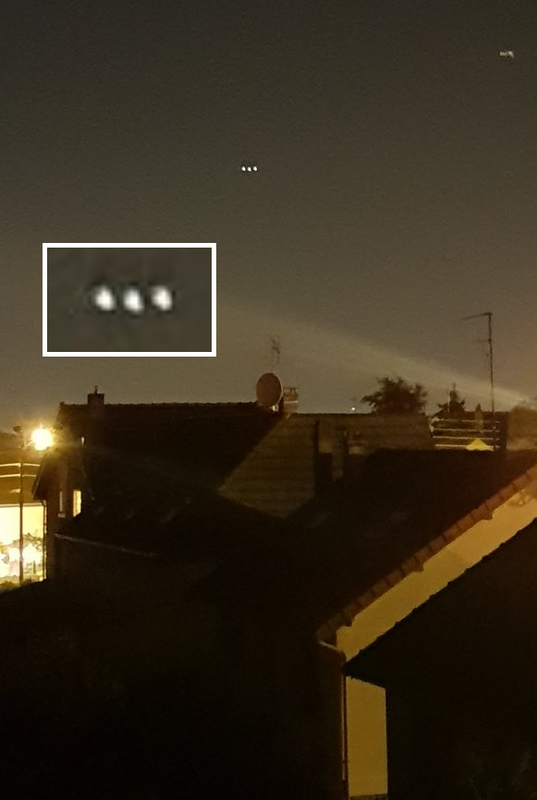 The observation of a friend last night 23:10 between Aulnay sous-Bois and Livry Gargan with. The phenomenon lasted for 20 minutes. According to the witness, it could not be a reflection, as the UFO was moving in the sky. This appearance is usually characteristic of reflections (of reflections in the lens). In this case, probably from the street lights. Probably the lantern, giving this flare has three lamps.